Tomorrow, our temporary assignment in Côte d’Ivoire comes to an end. Those who follow our ministry will remember that it came up suddenly back in March and Ed actually started as Director in April. We were given two goals – keep things running and work with a local committee to choose a new director. Time will judge how well or poorly we kept things running, but we are very sure that the new Director is the person God has chosen and that she will do a great job. She has a Master Degree in Bible translation and has been responsible for the Bible translation department of her church for the last few years. 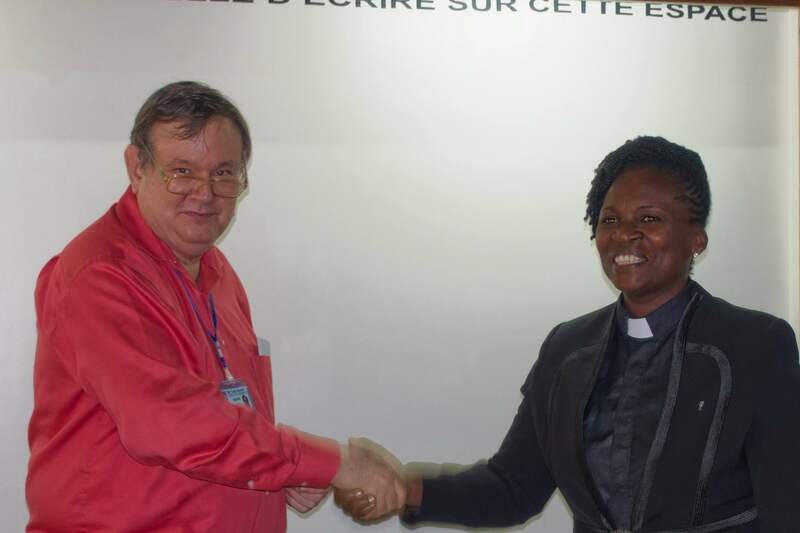 She has also been a member of the board of the national Bible Society of Côte d’Ivoire and a member of the translation committee for her language, Abure. God’s call in her life to Bible translation is clear. During the orientation period I was repeatedly impressed that God has given her the amazing wisdom and the ability to judge situations. We have a one-hour flights to Accra tomorrow. Back in Ghana, we plan to take at least a week off. Being responsible for the translation work for a whole country is a lot of responsibility. Added to that was the fact that Ed had to start cold and catch up with all that was going on and deal with some pressing issues which were emotionally draining. Thank you for your prayers during the last few months. Through the first two weeks of November, pray that the Lord will recharge us to 100%. 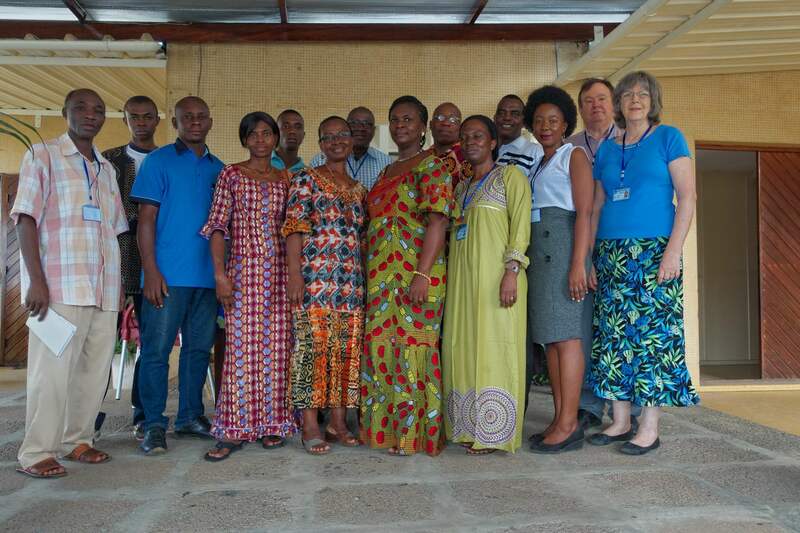 This is the great staff at the translation center in Abidjan. They do a great job. This entry was posted in Heart language. Bookmark the permalink. We do pray for you and trust that you will get a good rest and be refreshed! Praying for your family, too. Thank you sooo very much, Ed and Dayle, for always willing to pick up and go wherever and whenever the Lord tells you to do so. Your exemplary availability among MANY other great things is a great demonstration of your clear obedience to Him! We will never thank Him and you enough for all that He is enabling you to do in His mighty name! Yup, everything is working. The car is great! We are getting things cleaned and organized. Thank you for your prayers. Appreciate the personal news. Will be praying for you refreshment and strength for the task ahead.